Thank you for sharing this very important information. I truly learned something while reading. 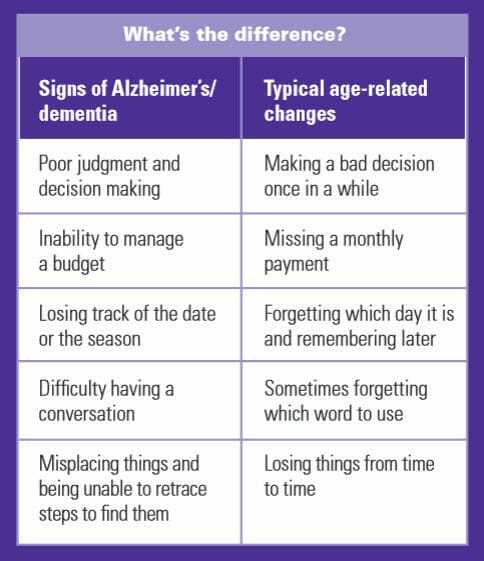 I was not aware that anyone as young as 27 years of age could be diagnosed with Alzheimer’s. WOW! That is why it is so important to read and learn so that we can be knowledgeable and educated and well informed. Thanks again. It is so scary. Thanks for reading. Remember “thisisyourbestyear”. Yes ma’am, that is why we must live each day at one time, and not before time. While reading your post, a thought also came to my mind, as well that l often think of. Sickness and disease of any kind does not discriminate, and no one is exempt from it. Whenever l see the babies and children on tv with cancer, it hurts my heart. I can’t even imagine the pain they feel and go through, as compared to the adults. I often think about my sister-in-law who had a stroke and 2 brain aneuryms at the age of 35, and it left her unable to walk; paralyzed on one side. She has been living in a nursing home for almost 10 years now, and as your post stated “Til Death Do Us Part”, she and my brother had only been married 3 years when she had the stroke. Not only that, they had a child who was a year old at the time, and when she had the stroke, the doctors realized that she was 2 weeks pregnant; which she and my brother were unaware. The doctors wanted my brother to abort the baby, due to the mother’s condition, and having to have multiple surgeries but my brother refused and the baby was born perfectly normal and healthy.